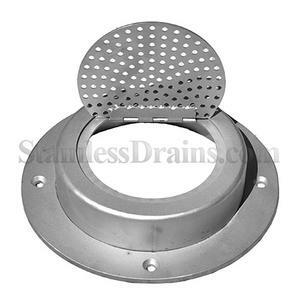 StainlessDrains.com’s Down Spout Covers are used on a wall where an overflow roof drain concealed leader (pipe) discharges water to the ground. Typical downspout covers are type 304, Hinged with a perforated cover. 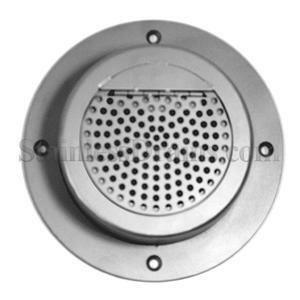 Stainless Down Spout covers made with 316 should be used where saltwater (oceans) are present.